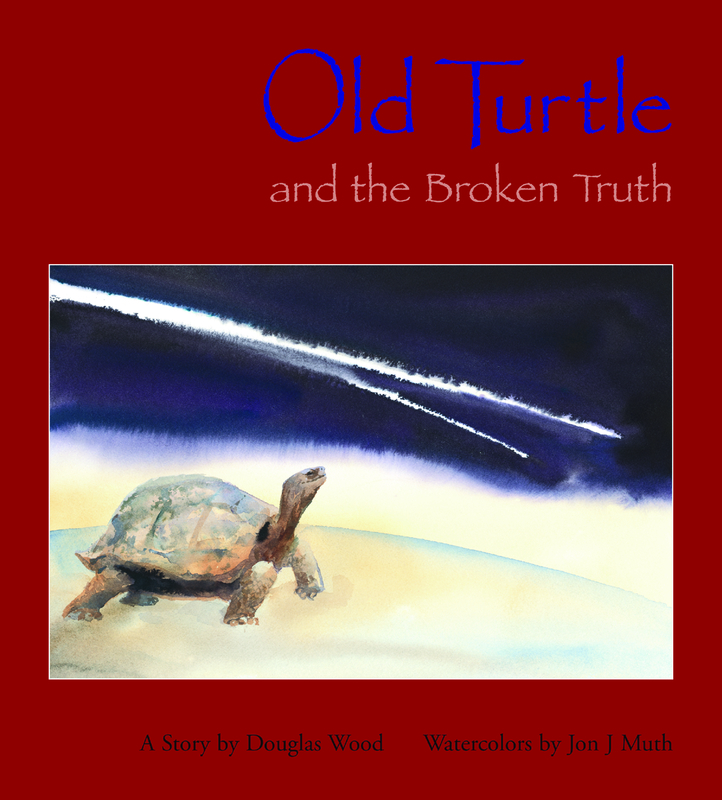 Old Turtle and the Broken Truth is a beautifully written book, with beautiful watercolor illustrations to match. In this story, a “truth” falls from the sky. The creatures of the land all pick up the “truth,” but abandon it after discovering it’s broken—it’s only part of the whole truth. Along comes a human who takes the truth for himself and his people—it makes them feel proud and gives them strength and power. However, this “truth” isolates them and causes them to feel more important and better than the other people they share the Earth with. It becomes a possession that others want. This causes chaos on Earth, and many wars are fought. “The stones and trees suffered, the breezes and water suffered, and the animals and the earth suffered … and most of all the people suffered.” One day, a young girl goes on a mission to find the missing part of the truth—she seeks out wise Old Turtle, who tells her that the people do not understand that their “truth” is broken and incomplete. He gives her a mysterious stone, and followed by all her animal friends, she takes the stone and this wisdom back to the people. The truth is now whole, and people everywhere unite as one. The natural wonders on Earth come alive again (“the trees climbed like ladders to the stars” and “the waters shone like mirrors”). This book nicely highlights the issue of “us vs. them.” It can encourage conversations about inclusion, acceptance of others, and seeing others as similar rather than different.